I grew up playing roleplaying games, not fitness games. I started with The Legend of Zelda–complete with the cool-as-heck, gold NES cartridge–and I’ve never looked back. Two dozen or so Chrono Trigger rentals, Final Fantasy VII on release day, World of Warcraft for seven years, and pretty much everything in between. I didn’t just love RPGs. I lived them. These days, I just haven’t had the time to play RPGs like I used to–or like I want to. I still haven’t finished the first Mass Effect, I canceled my WoW subscription, and I haven’t been able to get a D&D group for years. My point, my dear geeks, is that there’s a good chance a good many of you are in the same position I am, that your gaming time is gobbled up by the boring stuff: work, bills, being an adult. You don’t necessarily have the time to scour the internet for the best weight training app, much less drop 500 hours into Skyrim. So wouldn’t it be cool if life were an RPG? Wouldn’t it be cool if you could actually level up and show people how awesome you are? What if you had some kind of fitness network that worked like an MMO guild? Be kind of awesome, wouldn’t it? 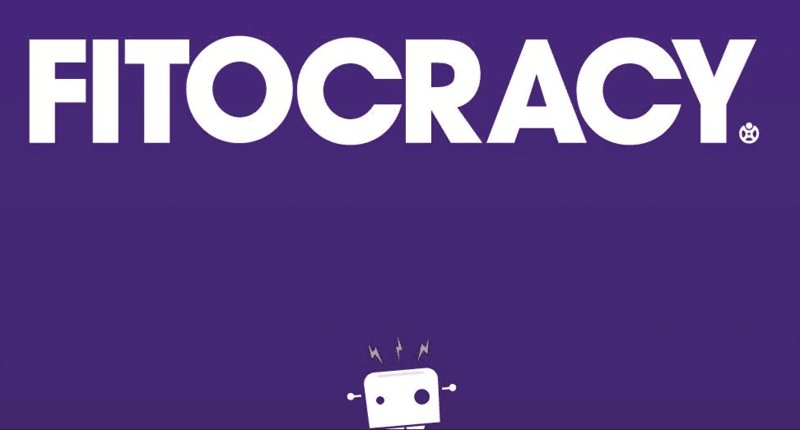 Enter Fitocracy, the fitness RPG. (Note: this is a referral link–I can get months of “Hero” (VIP) status if people use it to register.) It’s the best gym app, in my own opinion, letting you track everything and turning whatever you’re doing into a series of fitness games. Basically, Fitocracy is a fitness network designed for geeks. You put in your workout, and the software calculates what you’ve done and awards you XP for it. Then you–not your character, your avatar, or your toon–you level up. You can go on quests, duel other fitness geeks, and play fitness games and challenges with other people. Just like you do when you’re online or around a table, slaying dragons! My wife thinks that playing work out games and earning XP for it is one of the most ridiculous things she’s ever heard of, but if you’re like me and shiny new achievements, dings, and quest completion, Fitocracy just might be for you. There are quests you can do for extra XP (basically, workout routines with varied sets of exercises), achievements to earn (such as cycling 10km in your lifetime or running 100 miles total), and even a leaderboard where you can be ranked–if you choose to be–among other users to see how much or how little you’re doing that week. Fitocracy syncs with different fitness services to help keep you motivated and social. Personally, I just use Facebook, Twitter, and RunKeeper. For FB and Twitter, the integration is simple: you can search for/invite friends to use Fitocracy with, and you can share new workouts and updates with your networks. For RunKeeper, though, data is imported automatically, so Fitocracy is linked to your GPS data so you don’t have to keep up with intervals, speed, pace, or anything else. I’m sure it does more, too, but that’s what I use it for. There are entries for pretty much every kind of exercise you can think of. From yoga to push-ups to running or elliptical training. There are kettlebell workouts and everything under the sun. Whether you’re looking for the best weight training app because you pick heavy things up and put them back down, or if you’re just looking for the best gym app in general that lets you track pretty much anything you want (including “other cardio” that tends to be on the more adult side of things–seriously), Fitocracy is very likely to fulfill your needs. I’ve tried a handful of other fitness trackers and work out games, and Fitocracy is by far my favorite one, mainly because of how all-inclusive it is. On top of all that, there are groups you can join. Like the Couch to 5k group, or the Weight Loss group, or the RPG.net group. These groups are basically forums with news feeds where you can interact with fitness geeks. It’s been great for me because I tend to work out solo (like Han, hah! ), and it’s nice to have folks to interact with on my own terms. I like having a solid, caring, available fitness network I can go to when I need motivation, and the Fitocracy groups never disappoint. Here’s where you may be saying Your wife is right. Playing fitness games sounds dumb. To which I reply: Fine! Be that way! We’ll just have to agree to disagree. I think it’s awesome. All XP and RPG-theme aside, though, Fitocracy is the best gym app I’ve been able to find. It lets you manipulate reps, sets, sessions in pretty much any way you want to. Even if you’re not interested in leveling up or taking part in the social network part of it, you should give Fitocracy a shot. It sure as heck beats that ugly Excel sheet I was using from P90X. Plus, when I was doing Stronglifts 5×5, it was super easy to take what I wrote down in my notebook and put it into the app later. So clicky-clicky to sign up and get started. Then download the app and let the work out games begin! Fitocracy is the best gym app, hands down. The way I see it, there’s no reason not to use Fitocracy if you’re trying to get fit or lose weight, even if you’re not a geek. But for us geeks, the RPG-style elements really do make it worth sticking with. I mean, let’s be honest: the numbers and levels don’t really mean anything, but neither do the ones in our favorite MMOs and RPGs. Not really. They’re there as carrots-on-sticks for us achiever-types who can’t resist the shininess of new levels and ZOMG MOAR XP. If you’re serious about weight loss/fitness, you need some kind of tracker, so why not give Fitocracy a shot? What have you got to lose–except for a few pounds? 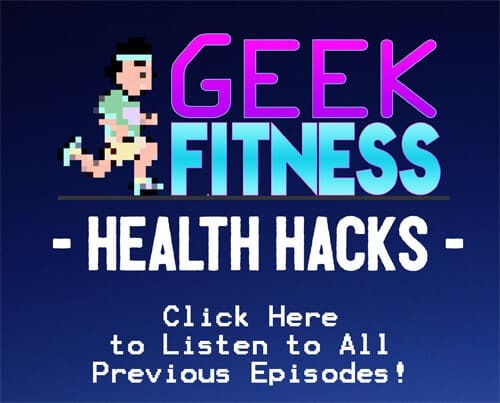 And be sure not to miss the Geek Fitness Health Hacks Podcast! Click to listen to all the episodes now! I did, too, until I downloaded some of the other trackers people recommended. They were basically Excel sheets that had formulas already set, and it was mindnumbingly boring. I wish there were some kind of automation for most exercises, but I don’t think that’s possible. You can, however, automate running/cycling/swimming and that kind of distance activity with various apps and programs where all you have to do is click “Save Workout.” That’s essentially what I do with RunKeeper. But you’re right, and I couldn’t have said it better: it is kind of a buzzkill. I love the leveling up and RPG elements of Fitocracy. It’s designed by geeks for geeks and it fits me perfectly! I hope your post inspires some people to check it out. That’s what drew me to it first, too. 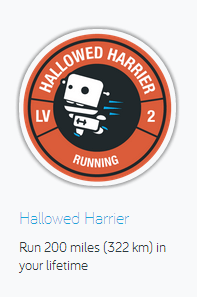 When I saw I could get XP for running, I…*cough*…ran at it.